A Perfect Blend of Dietary Fibers & Botanicals Friendly Bacteria. Other Ingredients Magnesium stearate (vegetable source) and silicon dioxide. Capsule consists of hydroxypropylmethylcellulose. No wheat, no gluten, no soybeans, no dairy, no egg, no fish/shellfish, no peanuts/tree nuts. Suitable for vegetarians/vegans. 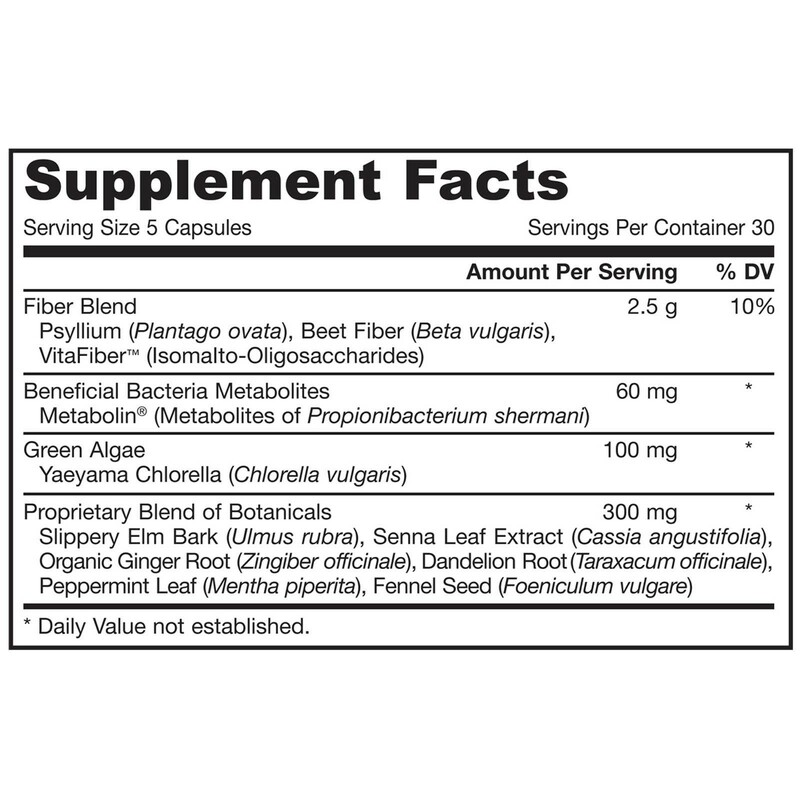 A Perfect Blend of Dietary Fibers & Botanicals Friendly Bacteria. 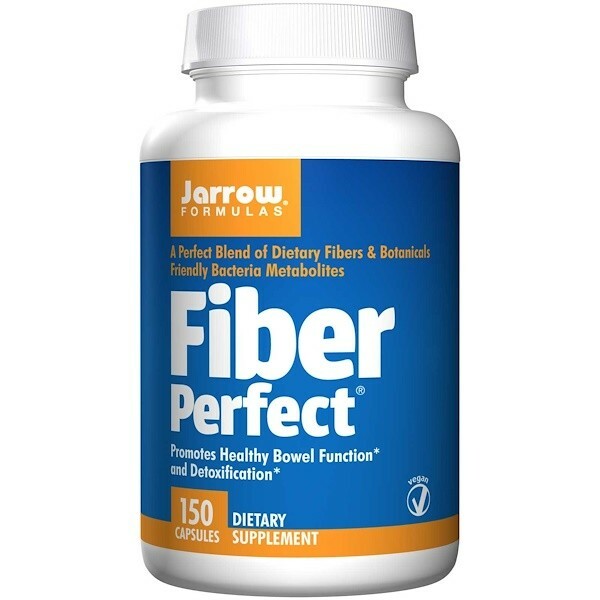 Fiber Perfect combines natural dietary fibers, green algae, botanicals, organic acids and the cell wall components of beneficial bacteria into a comprehensive formula to promote intestinal peristalsis (bowel movement) and intestinal detoxification. 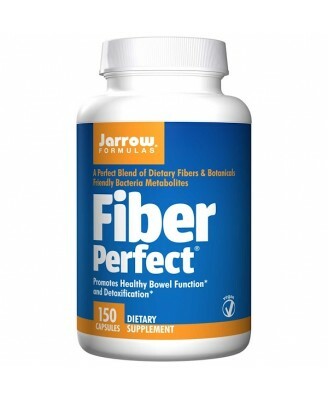 Features: Promotes bowel function: Psyllium, beet fiber, VitaFiber, senna leaf and slippery elm bark. Assists detoxification: Yaeyama chlorella, fibers, and dandelion. Soothes the digestive tract: Fennel seed, dandelion, ginger root and peppermint leaves. Note: This product contains senna. Read and follow directions carefully. 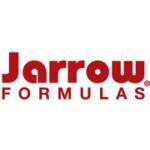 Do not use if you have or develop diarrhea, loose stools, or abdominal pain. Consult your health professional if you have frequent diarrhea. If you have a medical condition, are pregnant, lactating, or trying to conceive, are under the age of 18, or are taking medications, consult your health care practitioner before using this product. Keep out of the reach of children.